The settlement in Eszterháza, now part of Fertőd, was connected to Süttör in the 18th century, along with the building complex and the estate. 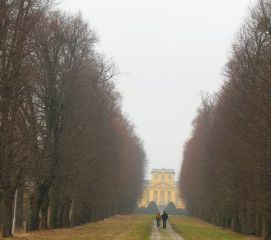 At the time Süttör was a Nádasdy estate, which was confiscated from the family as a result of the Wesselényi Conspiracy, and given to Palatine Pál I Esterházy. 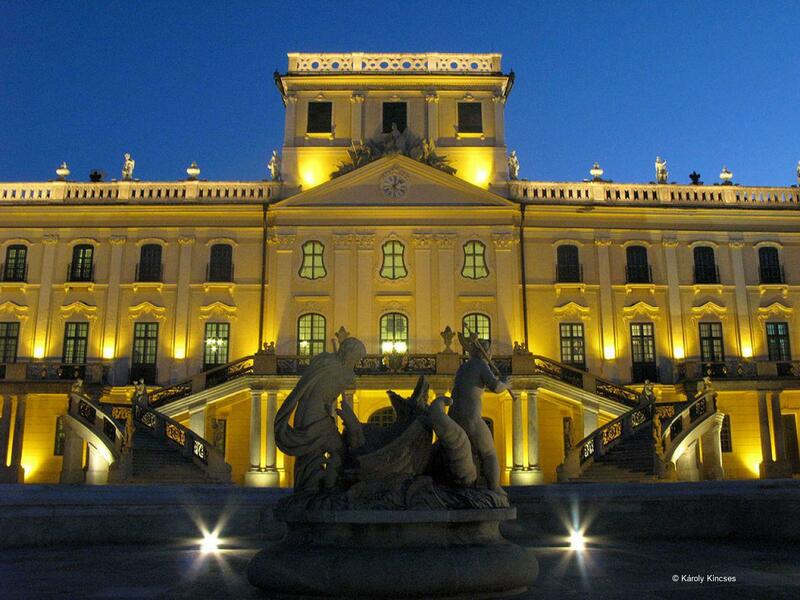 After the death of Prince Pál his youngest son, József I, inherited the estate. 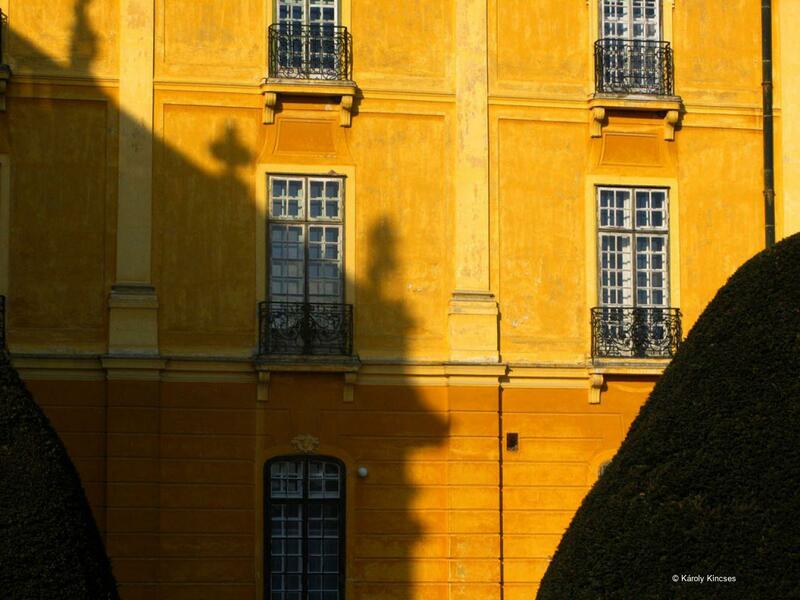 In 1720, József commissioned Anton Erhard Martinelli to design a hunting lodge, which according to some scholars made use of an old Renaissance hunting lodge built on the Süttör part of the estate, and for which Simon Mödlhammer created the palace roof. 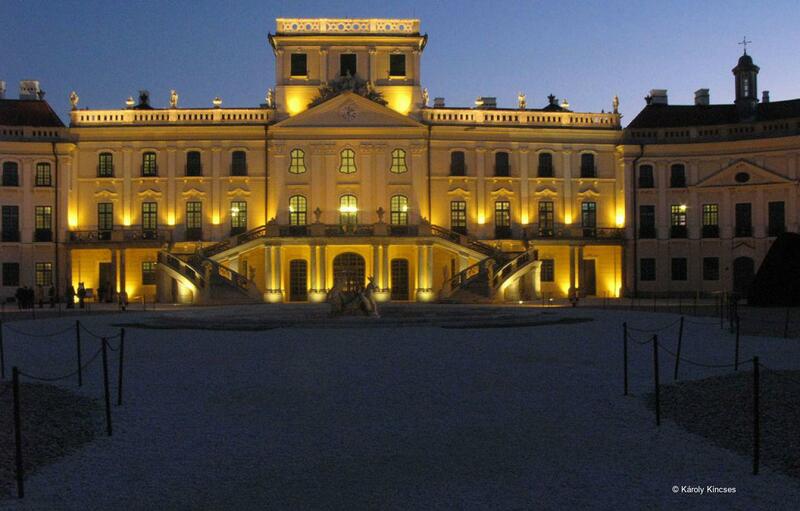 This building was inherited by József I's youngest son, Miklós II (Prince Nikolaus II Esterházy) in 1721, and in the early 1750s, Nikolaus moved there with his wife. The design of the building complex, the garden and the forest around it, were documented in a contemporary oil painting that went missing during the Second World War, but a photographic reproduction of the painting is extant. Nikolaus probably began reconstruction of the palace complex and enlargement of the main building in 1762, maybe to the designs of Nicolaus Jacoby an Alsatian ingenieur. According to recent research, the first phase of reconstruction took place between 1762 and 1764, and the second phase between 1765 and 1768. The expansion plan of Eszterháza – known as a “directive” – can probably be dated to 1762, and recent research connects it to Girolamo le Bon or Melchior Hefele. 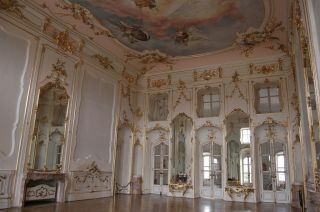 An important milestone in the reconstruction of the palace was Queen Maria Theresia's visit in 1773: for the occasion, the marionette theatre was completed, and the marionette opera, Philemon and Baucis by Joseph Haydn, was presented as a tribute to her. Two guard's buildings were built at this time and were complete by 1776. In the garden boskets, the temples to Diana, Venus, the Sun and Fortuna were built, and the inner ”large parterre” was redesigned, or rather reformed, in the garden. A third, greater period of construction took place between 1775 and 1778: the building of the Belvedere as it is seen today. 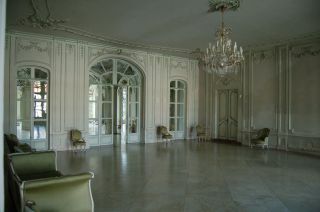 The Ermitage (hermitage) was complete by 1775, when Archduke Ferdinand Habsburg and Maria Beatrice d'Este visited Eszterháza. The so-called Bagatelle, a Chinese pavilion, was finished by 1783. Reconstruction of the garden was almost continuous until the 1780s. The fountain, with an artificial waterfall on the east side of the large parterre, was built between 1783 and 1784, based on designs by Franz Gruss. 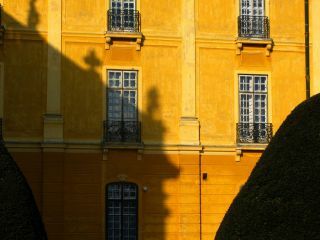 To the east of the palace, the prince built a separate row of houses for the masters and other personnel. 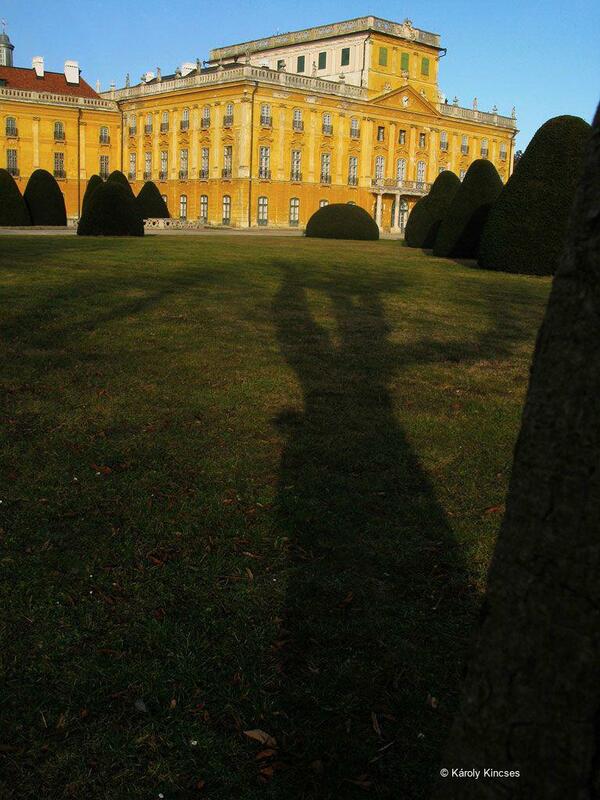 On this side, near to the marionette theatre, were the administrative buildings (“small palace”) and the orangerie. 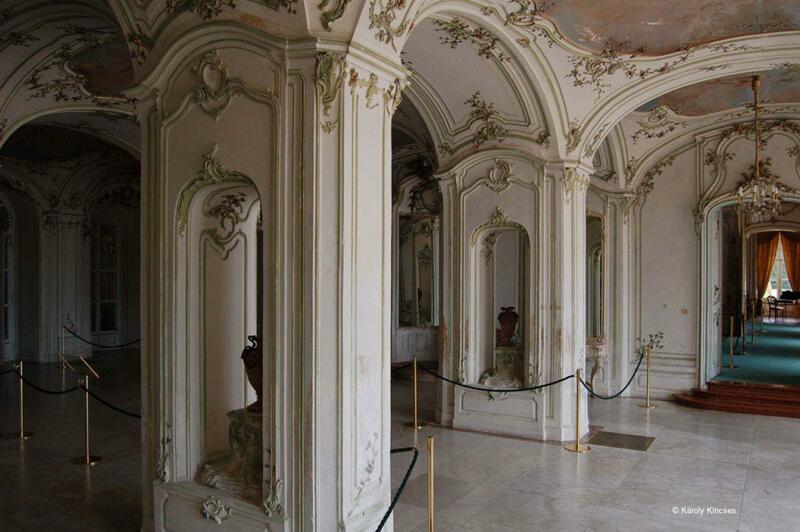 Actors, musicians and the pharmacist lived in the Muzsikaház (Music House), built to the west of the palace, where the three-roomed apartment of Joseph Haydn was. The stables and the inn for travellers who were not accommodated in the palace were also located on the west side. The first opera burnt down in 1779, but the prince erected an even more exquisite building within two years of its demise, designed by Michael Stöger. 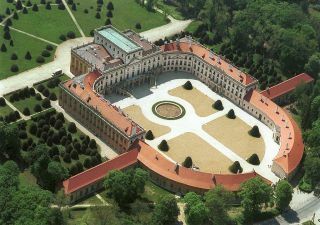 As to the identity of the architect responsible for reconstruction of the palace, a scholarly debate rages even today as to whether it was Melchior Hefele, Nicolaus Jacoby or Ferdinand Mödlhammer. 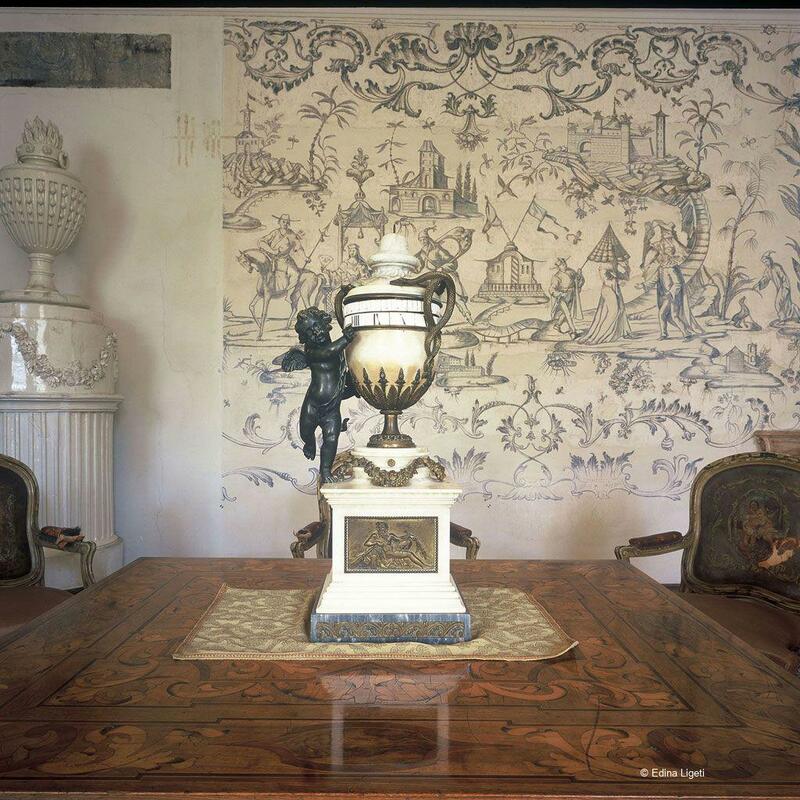 The blue-and-white wall paintings in some of the rooms relate to the early period of construction (1750s and 60s). The ceiling paintings in the banqueting hall, chapel and the sala terrena were painted by Josef Ignatz Mildorfer; the sculptures made by, among others, Josef Ressler/Rössler and Johann Friedrich Schrott; the wrought-iron work by, among others, Carl Franke. The Golden Age of the palace ended in 1790 with the death of Prince Nikolaus II Esterházy. The family left Eszterháza to live in their residences in Kismarton (Eisenstadt) and Vienna. 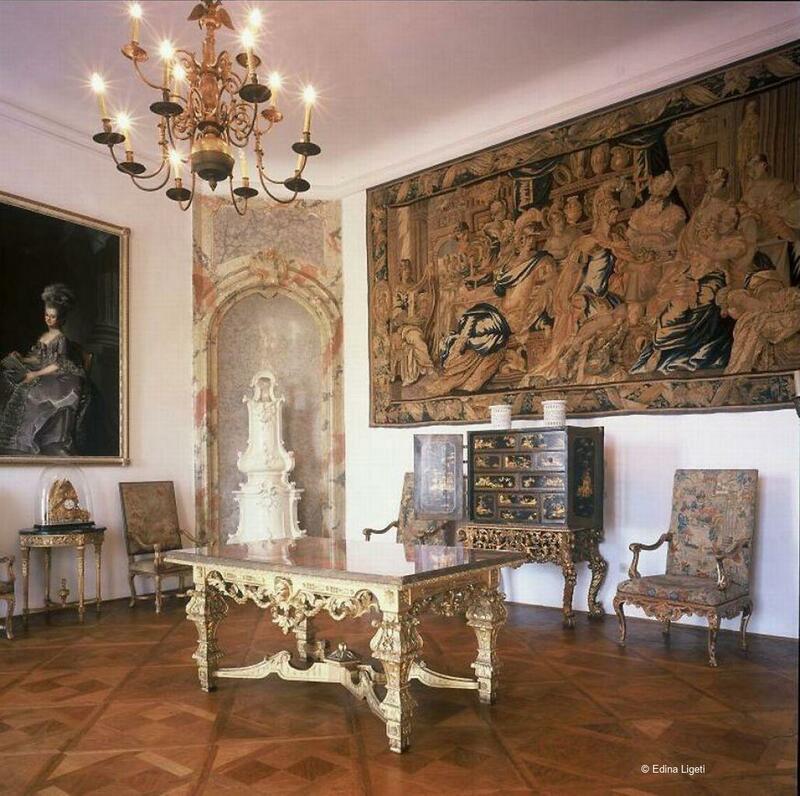 Then, at the end of the 19th century, Prince Nikolaus IV and his wife Countess Margit Cziráky, moved in. They renovated, modernised and decorated the palace with Rococo, Neo-Rococo and other period furniture, and extensively redesigned the garden. 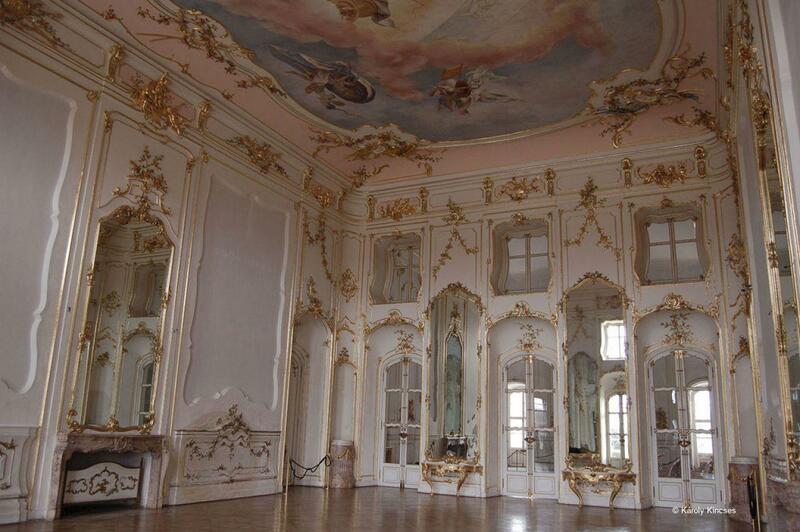 The interior decoration was accomplished by Miksa (Maximilian) Schmidt and the F. O. Schmidt company. 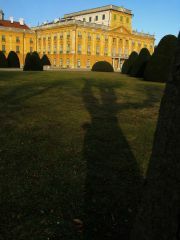 After the death of Prince Nikolaus V his eldest son, Pál V Esterházy, became the next and last master of the property. After the Second World War the Soviet army established a military hospital there and some of the furnishing was destroyed, the rest salvaged by soldiers and locals. Later the palace was nationalised. Reconstruction of the main building began under Jenő Rados in 1957, and was completed by 1959 for the anniversary of Haydn's death when a palace museum was opened with a Haydn Memorial Exhibition. 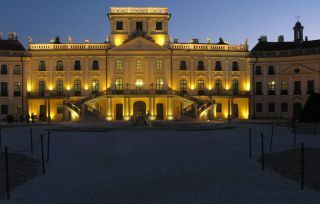 The University of Sopron was the guardian of the palace until 1996. 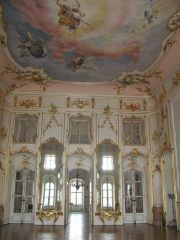 Currently it is managed by the National Trust of Monuments for Hungary. The Trust is repurchasing artefacts from the palace that have been dispersed, and renovating the complex in the framework of an EU-funded project. The main building of the palace complex is a complicated one, redesigned and modified in several periods. The middle part and the connecting sections of the side wings are three-storeys high; the horseshoe-shaped wings are one-storey high and, directed towards the main gate, rectangular side wings are connected to them. There is a belvedere over the middle bay. The main façade is decorated with pilasters, tympanum motifs, military trophies and a shield within which is the Esterházy coat of arms. There is a clock in the middle of the tympanum on the garden facade decorated with vases and putti and oval windows in the middle of the tympanums of the arched connecting wings. Balconies with wrought-iron balustrades on the second-floor level of the side wings, and a two-armed stairway with wrought-iron railings decorated with putti holding wrought-iron lamps, leads to a balcony from which the banqueting hall on the first floor is accessible. There are fountains in the courtyard and at the sides of the building. 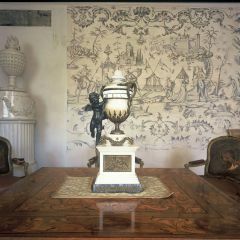 Among the most outstanding spaces are the sala terrena (with coloured stuccoes and wall paintings; the reconstruction of its 18th-century grotto with fountains whose porcelain animals spit water, began more recently); the summer dining area (with stuccoes); the ceremonial banqueting hall on the first floor of the middle bay with a ceiling painting, Apollo's Triumph, and allegorical statues of the Four Seasons in four corners of the hall. In the 18th century, the palace was famous for its exquisite furnishings and valuable artefacts, for example the panneaux, silk tapestries (e.g. those with the Esterházy design), boiserie with panneaux and wall-paintings in some rooms; chandeliers, clocks, ceramics, books, carpets, furniture and paintings; chinoiserie (furniture, ceramics [also Japanese], blue-and-white wall paintings, wallpapers and Chinese-lacquer panels in three rooms). In the garden (the first design by Anton Zinner) orange trees from the princely orangerie were planted in large buckets to furnish the parterre and chamber-gardens on both sides of the palace. The garden and park complex were organised around three main avenues, a broiderie parterre (large parterre) decorated with fountains and sculptures, boskes, and a garden for wild animals (Lustgarden). But the most valuable artefact of all was Franz Joseph Haydn, who lived in Eszterháza for 30 years and composed music to entertain Prince Nikolaus, his patron, and presented his operas in the then famous “great theatre” on the palace's west side (no longer extant). The Esterházy Palace complex in Fertőd-Eszterháza is an outstanding creation of 18th-century European and Hungarian palace architecture; a maison de' plaisance – “merry residence”, or Lustschloss in German – that was constantly reshaped, along with its garden, by its Maecenas, Nikolaus Esterházy, from the 1750s to the 1780s. 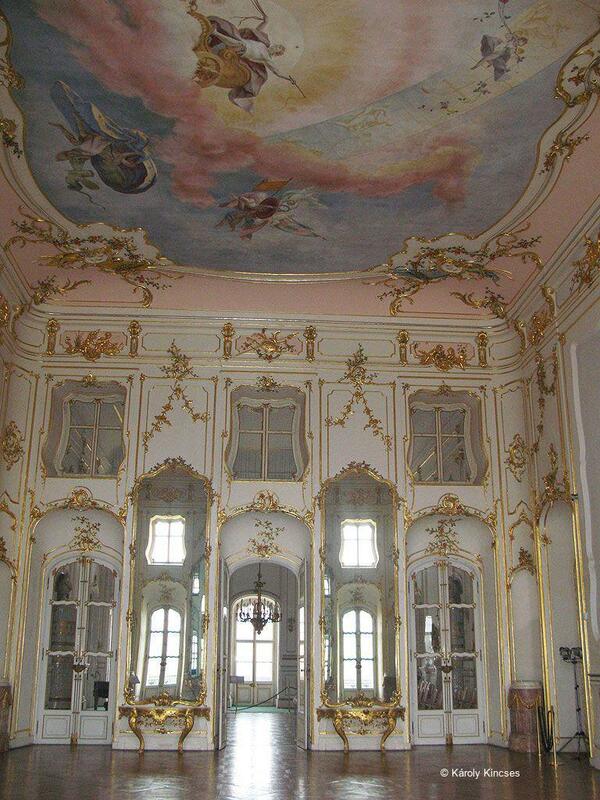 In the period, it was the centre for Hungarian chinoiserie. 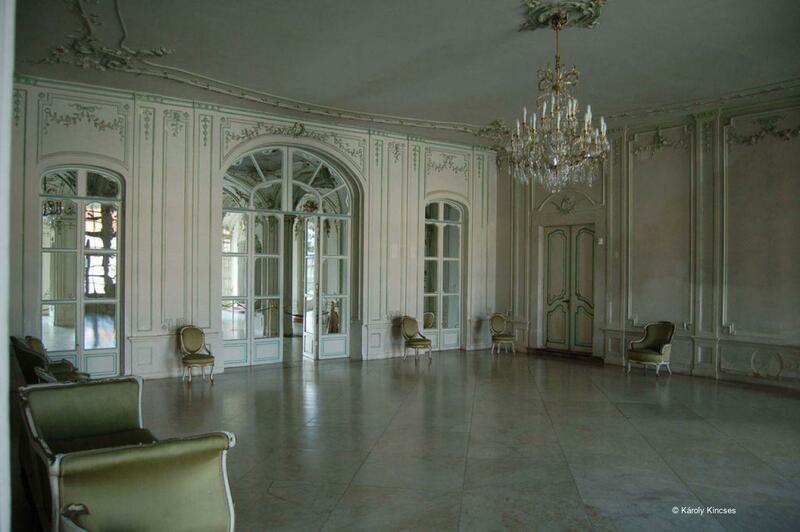 The opera (great theatre) and the marionette theatre (small theatre) were exquisite parts of the complex. Franz Joseph Haydn was head of Prince Nikolaus's orchestra for 30 years and lived in the Muzsikaház (Music House) in the palace grounds. Based on written and visual sources, field research of the wall paintings and walls, and archaeological excavation. [Pater Niemitz, P.?] Description of the Stately Palace in Eszterháza in the Hungarian Kingdom (Beschreibung des Hochfürstlicen Schlosses Esterháß im Königreiche Ungern), Pressburg, 1784. Hárich, J., “Eszterháza. I”, Art history (Műtörténet), MS., OSZK, Kézirattár, Fol. Hung., 2151. Horányi, M., Merry Times in Eszterháza (Eszterházi vigasságok), Budapest, 1959. Mőcsényi, M., Eszterháza in Back and White (Eszterháza fehéren-feketén). S. l., s. a., Budapest, 1998. 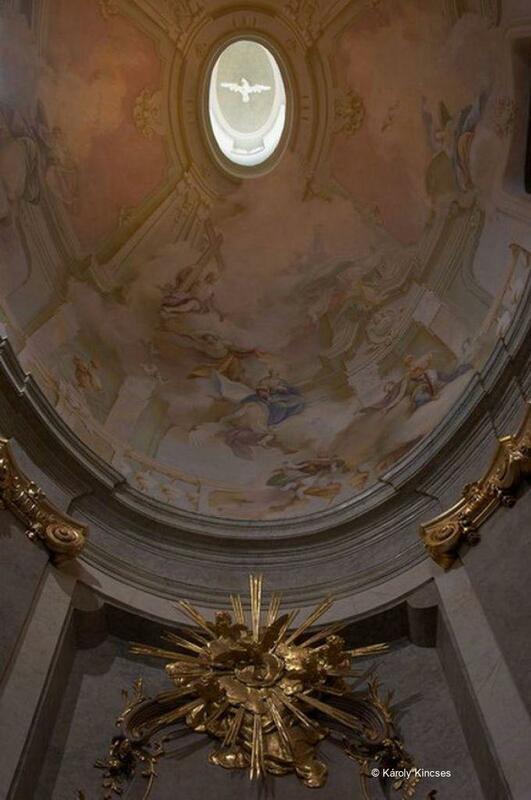 Galavics, G., “A Bologna Painter – Gaetano Pesci – in Eszterháza” (“Ein Bologneser Maler – Gaetano Pesci – in Eszterház), Ex Fumo Lucem, Baroque Studies in Honour of Klára Garas, II, Budapest, 1999, pp. 177–194. Dávid, F., “The Interiors of Eszterháza” (“Eszterháza belső terei”) Ars Hungarica, XXVIII, 2000, 1, pp. 73–95. Galavics, G., “18th-Century Representations of Eszterháza – The Image as Art History Source” (“Eszterháza 18. századi ábrázolásai – a kép, mint művészettörténeti forrás”), Ars Hungarica, XXVIII, 2000, 1, pp. 37–71. Fajcsák, Gy., “The Garden of Pleasures” (“Az örömök kertje”), Chinese, Mongolians, Manchurians in Eszterháza: The Lacquer Cabinet of the Royal Suite of Esterházy Palace (Kinaiak, mongolok, mandzsuk Eszterházán. Az Esterházy-kastély hercegi lakosztályának lakk-kabinetje), Árkádia Könyvek I, Budapest, 2007. 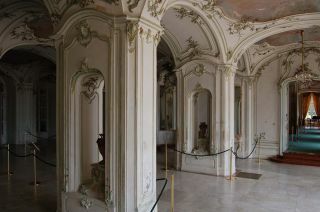 Vadászi, E., The Versailles of Hungary (Magyar Versália), EOS Könyvek I, Budapest, 2007. Terézia Bardi, Vice Director for Research at the National Trust of Monuments for Hungary since 2004, was awarded her MA in History and History of Art at the Eötvös Loránd University in Budapest. After a period of fellowships mainly in Italy, Terézia gained her PhD from the Faculty of Art History at the same university for her thesis Presentation and Representation – the European Reception of the Liberation of Buda in 1686: Feast and Public Opinion. Her main fields of research are 17th-and18th-century Baroque and Rococo: the spectacles, festival decorations and associated iconography – including theatre productions of the period – and interior decoration of historic houses. Since 1988, she has edited a number of art historical books that include some on Oriental art and architecture. She is MWNF DBA’s local (Hungarian) co-ordinator, author and copy-editor.